Nine tips for maximizing value and success. If you are thinking about selling your practice down the road, a well-thought-out exit plan is necessary. Before you ride off into the sunset of retirement or embark on your next adventure, you’ll have to do a bit of homework to prepare your company for sale and identify the right buyer or partner to work through your transition. Selling a company is a bit like selling a house. Before you put your house on the market, giving it a fresh coat of paint, fixing any broken windows, and grooming the front lawn makes it as attractive as possible to potential buyers. In the same way, to maximize the value of your business, you must market your company appropriately; you can’t just declare “It’s for sale!” without doing the upfront work. Start planning early on! It may take time to prepare your business for sale because there are multiple factors to consider. The sale generally does not happen overnight. While every business situation varies, it often takes one to two years to ensure a company is ready for sale. It is important to determine what you really want from the buyer in exchange for selling your practice. Why are you selling? What kind of buyer is ideal for your business? What is your ideal outcome? Think about these foundational questions before you start hunting for a buyer as this will affect how you prepare. Many business owners will say all they want is a bag full of cash. It is tempting to start seeing dollar signs and become fixated on valuation multiples, but when you dig deeper, you often find that other factors are equally important. Price is just one factor for consideration. For example, it may be essential to find a buyer that has a similar culture to your own organization, or a buyer that will take good care of your employees, or a buyer with a strong reputation in your community. It is important to know your company’s value, points of differentiation, and value drivers. While there are many ways to value a company, the most common method for valuing therapy practices is based on a multiple of adjusted EBIDTA (earnings before interest, depreciation, taxes, and amortization). Multiple ranges are influenced by size (amount of EBITDA) and associated risk for the buyer. All things being equal, a company with $1 million in adjusted EBIDTA will typically sell for a significantly higher multiple than one with $200,000 in adjusted EBITDA. Risk factors that drive multiples include a lack of referral and payer diversity, low reimbursement, low profit margin, lack of a succession plan, and transition risk. 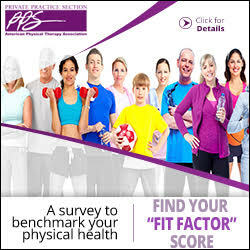 Mitigating risk factors will assure you maximize the value of your practice. While you may not need a full audit, you should have, at a minimum, reviewed financial statements before you look for a buyer. While an audit provides the highest level of assurance of a company’s financial statements, a review may be sufficient, depending on your situation. Having an independent third-party accountant prepare your financials is similar to having a home inspection before putting your house on the market. A review makes your company more attractive and significantly reduces the risk for buyers. Do you have a preferred deal structure? Have you considered tax implications? Understanding the tax and legal implications of selling your business is critical so make sure you talk to a tax advisor and a lawyer who understand mergers and acquisitions. Especially with the recent tax reform, there are many nuances and changes that affect business owners. Get educated so you don’t end up making a costly mistake. Make sure others can take care of your business should you leave. While you may be required to stay with the business for a couple years after the deal closes, most buyers know you won’t stay forever. A strong management team assures buyers that the company will succeed after you move on. Have you paid the appropriate taxes? Do you have the proper licenses? Fix any liabilities before approaching a buyer. 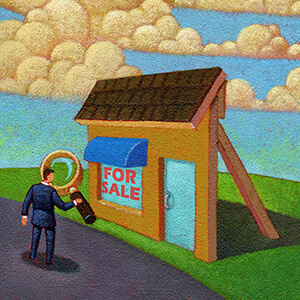 If you can’t fix them, identify them to the potential buyer early on. Buyers will eventually discover hidden liabilities during due diligence, so it’s best to reveal any risks up front rather than try to hide them. You may want to engage the services of a third-party advisor. An experienced advisor can help identify your ideal buyer and prepare your business for selling. During negotiations, having an experienced advisor by your side increases objectivity and reduces tension between the two parties to ensure you and the buyer reach a favorable agreement. This may be your only experience in the M&A process, while an experienced advisor brings years of experience to your side. Selling a practice that you have dedicated your life to building is both exciting and scary. Make sure to set yourself up for a positive outcome! 1 Barlow Research Associates. Small Business Trailing 4 Quarter Data. 2017. www.barlowresearch.com. Accessed August 22, 2017. 2 Braun D. Successful Acquisitions: A Proven Plan for Strategic Growth. New York, NY: AMACOM; 2013. John Dearing is a managing director at Capstone, a leading consulting firm specializing in privately held, not-for-sale acquisitions for the middle market. Since 1996, John has advised clients of public and privately held companies on strategic external growth (acquisitions, investment, and partnerships) in a variety of service and manufacturing industries including physical therapy. John received his MBA from Georgetown University and his BS from Bucknell University and is a Chartered Financial Analyst (CFA). John can be reached at JDearing@CapstoneStrategic.com. *This author has a vested interest in this subject.